This entry was posted in Sailor Moon. Bookmark the permalink. Sailo Moon is my favorite anime movie! I really love it! Specially i like Setsuna Meioh! Oh Sailor Moon, I love it so much. It was my first anime ever, even though I had no idea it was anime at the time (or even what anime was for that matter). I was a dumb 5th grader that didn’t notice the subtle cultural differences that still showed even through the dubbing and heavy editing. 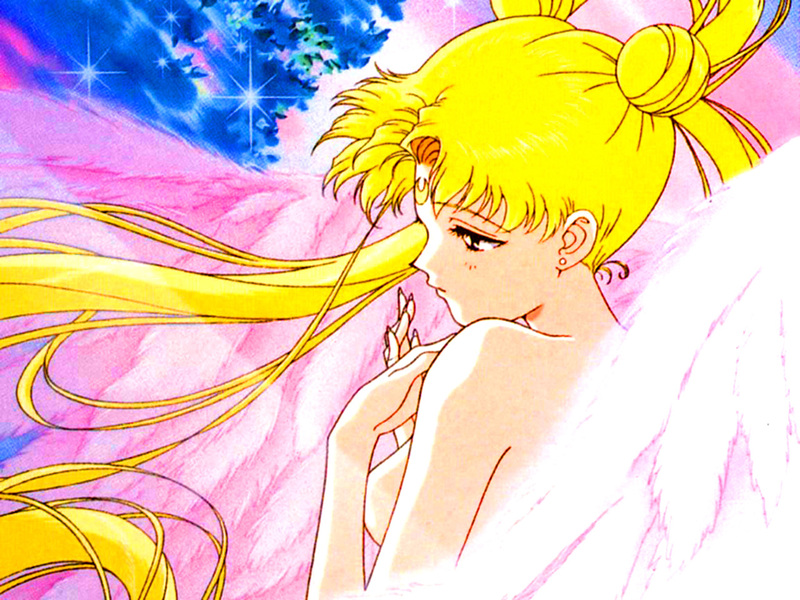 But in my defense…Serena (Usagi) was blonde with blue eyes for heavens sake! She sure looked American to me. @Luckie: LOL, I agree, *very* American! Yeah, I was exposed to it ages ago, back in the good old 90’s. But only bits and pieces… Then one day in January 2007, I finally sat down, made up my mind, and decided to get it outta the way~ um, I mean, *watch* it, lol. With the encouragement of a few female voices, of course. I don’t think guy-encouragement would’ve helped, lol. After downloading the original season, finally started it in February then finished it in March 2007. Still a shocking ending!… Haven’t decided to try “R” or “S” yet. Worth it?